So how fares reaper in fractals? Now that we finally got over 30k dps on our benchmarks, is reaper a spec i can take to high fractals and not be kicked for being a necro? I wonder which imbecile would kick you for playing reaper even before the patch. Seriously. Reaper, while not being THE top dps, was pretty decent cause its rotation was soooo easy. It still is good, in my eyes. We speak about T4, anyway, which should easily be doable with any half good dps class. is reaper a spec i can take to high fractals and not be kicked for being a necro? Well, you can't guarantee it. There are always going to be folks who want top benchmark specs and won't take "what about this" for an answer. As @Voltekka.2375 suggested, lots of groups (maybe most?) wouldn't have /kicked just for being a reaper 3 months ago either. For the 1% of players who are able to maintain near-optimal rotations in all situations, sure, it's not nearly as good as any alternative (except for niche situations). For those of us in static fractal groups that sometimes near a PUG or two, I'd rather have a reaper who knows their class than some of the other folks we have the last 12 months. We've literally had a DPS mesmer and a DPS weaver dishing out damage on par with our support druid. Reaper is perfectly viable and incredibly simple to play in ordinary T4 fractals. Benchmarks ain't kitten, especially if you're puggin'. Very, very rarely there's a holo or deadeye who will output a consistent 20K while on reaper I'm a ways behind that averaging 12-16K. Most pugs though, I out damage and outlast all of the other DPS classes for all three fractals. Reaper is fine on fractals. Never seen people kicked no matter the class unless they were just stupid and unperforming really bad, like doing 1k on a dps while druid is pulling 2k+, a well played reaper is better than a kitten weaver/tempest/powersb/dgh/holo/DD/DE. T4's are easy enough, just avoid joining on reaper if lfg specifies what class they want. Perfect for fractals, high burst and nice aoe. Big breakbar dmg. If healer sux you can still go fór vampiric "well" pReaper. Otherwise go bursty spíte+SR . It really depends on what you mean by “high fractals”. I mean if it’s just a regular pug t4 or a group that’s just asking for dps without being specific then sure. I mean anything goes in those runs really. If it’s a meta run and ppl ask for other things then you’d have to respect that because there are better classes for meta runs and people are fully entitled to do what they want for faster runs. It depends on what you want really. 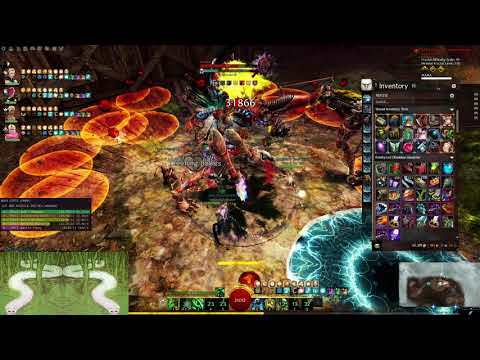 Fractals are not raids so the 2min dps doesnt mean anything. Reaper has quite good burst so its probably better than DH and better than Holo in some fights. Just depends on group dps. Reaper is quite good in short fights and overall pretty solid now. He just lacks long fight dps for raids now. Just ran CM's for the first time on Reaper, pug party, really not bad considering i'm not really good at it and was <50% LF for quite a long time on some bosses and messed rotations. No fractal titles, the Dragonhunter had Fractal God. Reaper is really good in fractals right now, imo. While weavers can acchieve higher dps according to benchmarks in reality of T4 pugs they can barely get past 10kish (arcdps) in most of cases due to rotation or moving targets. While all the reapers i've ran with since patch are topping the chart or close second because of how easy the rotation is and its also very good to cleave mobs through the longer levels. Reaper is actually good now if you mostly do just normal T4's, or even in 99CM + T4 (the more trash in the Fractal, the better), otherwise, especially for 100CM, there are classes with much more utility and or DPS that perform better. Reaper has incredible cleave and provides AoE Blind with Soul Spiral and Nightfall. It's single target damage is still lacklustre though. In almost pure Boos Fractals like 100CM, a good Dragonhunter not only does more damage, but can also make a lot of mechanics at all 3 bosses easier, be it making the adds at Skorvald less annoying with Stand your Ground (especially the second platform), help reflect the big red orbs knocking people down at Artsariiv to instead increase DPS, and completely eliminate the throwing Red orb mechanic at Arkk spawning the highly damaging fields with the often overlooked Shield of the Avenger instead of having to jump them with the Special Action Key (although there is an issue with the skill getting completely culled out, so nobody will know the group isn't wiping thanks to you, and people will just think everybody is perfectly jumping them all the time). But if your group is fine with lower boss DPS and lack of utility in a lot of cases, Reaper is generally viable now. That doesn't mean most pugs share that sentiment and that you won't still face discrimination for playing Necro. Same goes for the viable but not optimal healing Scourge. Things like Social Awkwardness may destroy your Reaper Shroud pretty quickly though if your or anyone else's positioning is off, causing you to drop even further in DPS, that said, I've completed CM's + T4 runs on Reaper without much issue, but it did perform worse than I hoped, as I really enjoy playing it. While I'm still frequently top DPS on Reaper, that speaks less about the about the ability of Reaper and more so about the performance of the other DPS, as I know I could be so much higher on almost everything else. If Necromancer wasn't my favourite profession thematically I still would not play it, but if you want to play it for the sake of theme, with the recent buffs it's at least not a complete let down to your teammates anymore, and can actually really shine at Trash cleaving parts, for what that it's worth.